Toronto Marlboros defender Artem Guryev brings size and skill and plays the game with an edge. Opposing forwards know when this physical Russian-born blueliner is on the ice. The OHL Priority Selection presented by Real Canadian Superstore takes place Saturday April 6 beginning at 9:00 am. 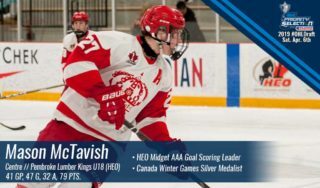 Stay tuned to ontariohockeyleague.com for daily #OHLDraft Prospect Profiles featuring the next wave of OHL stars.